There is a sea between South Korea and Japan. However, the name of a place doesn’t change by someone’s unilateral request. It is based on a long history. Of course, Japan’s request was dismissed. In the middle of East Sea, there is a small island. The name of the island is Dok-do. it obviously is a Korean territory, and its name is also Korean. from 20 years ago without historical evidence. “Toronto belongs to America” just because it is close. but the Japanese government seems very serious. for being Japan’s territory, and accept the mistake as a fact. Thus we, Full Korea (www.fullkorea.com) sometimes cover the Dok-do issues. 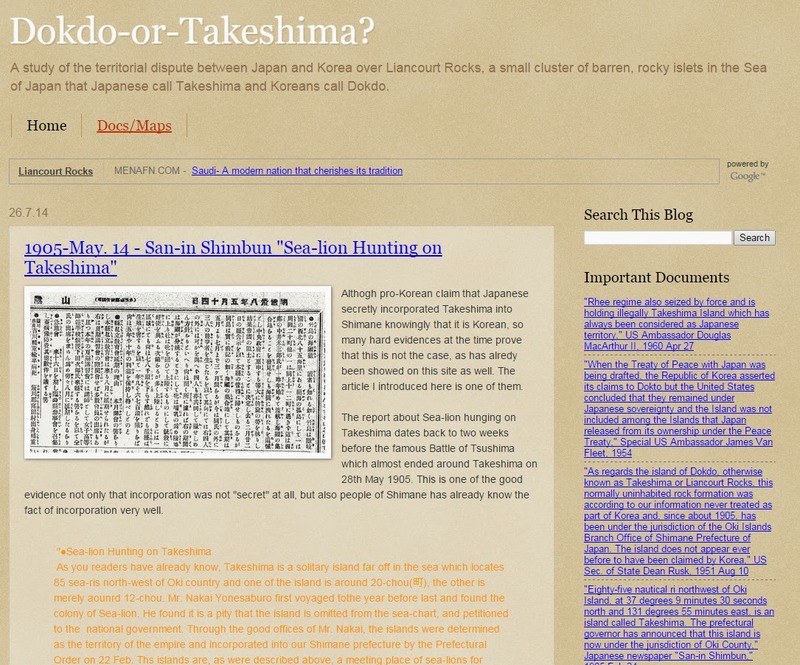 with more detailed Historical evidence for English-speaking countries and Japan. Dokdo is a Korean territory with historical facts since 2007. 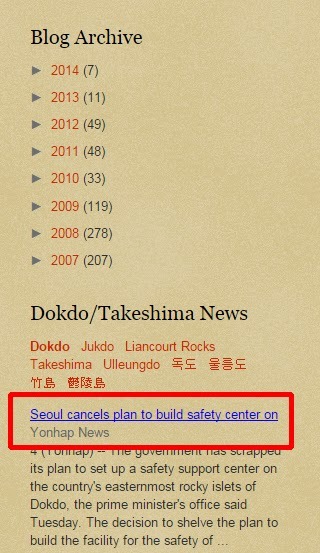 Please give a huge attention to Dokdo-Takeshima Google blog. 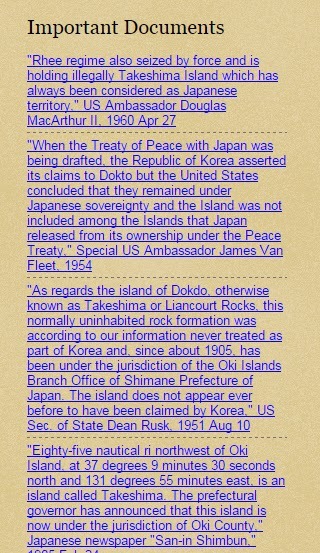 Dok-do, dokdo, Takeshima, Liancourt, Liancourt Rocks ?. don`t worry. its Dok-do. only one name, only korean area.